E3 2019 will take place on June 11-13, 2019. However, let’s not forget that we’ll have all of the press conferences beforehand, typically starting on the Sunday before the showfloor opens. This year, however, things are starting EVEN earlier, with EA having their press conference on the Saturday prior, on June 10th. Way to one-up everyone, EA. You’d better bring Skate 4. 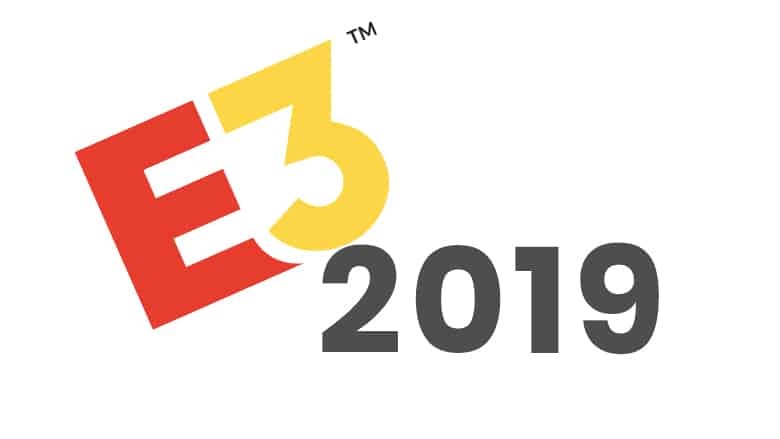 You can find all of the rest of the important E3 2019 dates and times below. The E3 2019 press conferences from Microsoft, Ubisoft, EA, and whoever else decides to have a presser this year will all be streamed online via Twitch and YouTube. We should also expect a Nintendo Direct at some point during that week that will be streamed live to millions. Stay tuned for more details. 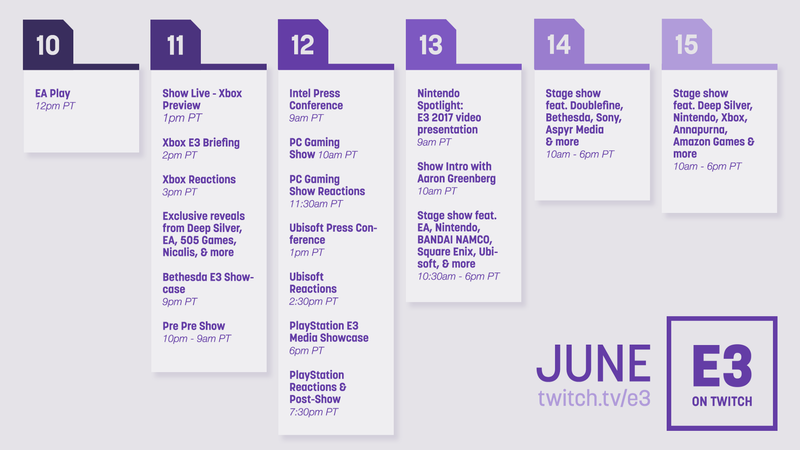 All of the press conferences will be streamed via Twitch at Twitch.tv/e3/ (which will redirect you to the official Twitch stream), and it has been embedded below. For a full schedule from Twitch, click here. E3 2019 will be here sooner than you know it, and we here at Nerdmuch.com start super early with our E3 2019 coverage. Because, well, we’re always THAT excited for it. To stay up to date with the latest E3 20189 news, announcements, trailers, and opinions, keep it locked to this page. E3 2019 industry pass registration will open up on February 6, 2019. In 2017, the ESA announced that it will, for the first time ever, open its doors to the public. This year, the ESA will sell a total of 15,000 E3 2019 tickets that will be made available for purchase on February 12, 2019. Each ticket will be priced at $249, or if you’re able to snag one early, you can pick it up for $100 off at $149 if you buy one of the first 1,000 tickets. The E3 public tickets will allow goers to access the show floor, panel discussions, and all of the other events from Tuesday-Thursday of E3 week. More details about other access granted to the those with E3 2019 tickets will be announced soon. The tickets will be made available on the official site soon, so check back soon when we have more details and have your wallets at the ready; we’re pretty sure they’re going to sell out immediately. Microsoft’s typical E3 slot should be delivering something new. An open-world game written by the author of A Game of Thrones. The date is set, but what are they bringing? Not one, but two new Nintendo Switch models could be on the way. “Their announcement is validation of the path we embarked on two years ago”. With some publishers opting out of E3, Bethesda assures us they’ll be there. See, E3 press conferences aren’t dead. With some big time games absent from Nintendo's E3 Direct, Bill Trinen spoke with IGN to confirm where the next Pokémon RPG and Metroid Prime 4 are. Nintendo and Epic Games have teamed up to bring Fortnite Battle Royale to the Nintendo Switch – today! Nintendo is truly delivering the Ultimate Smash Bros. experience with Super Smash Bros. Ultimate coming this December.